As non-denominational wedding 0fficiant pastors are there to help and assist, I will help you plan your special ceremony with care and consideration. I have been assisting couples in the Sacramento, Roseville, Northern California Region for over 25 years to personalize their wedding ceremony to make it special and unique. I accommodate both casual and formal ceremonies based on your ideas for your special day. 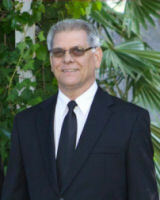 As a wedding Officiant I will work with you to make your wedding a very memorable occasion. This is your wedding and I will work with you to make sure it's all that you want it to be. Let me have the privilege of working with you to help you as you create the perfect ceremony that will express your lives together. I look forward to meeting you. Ken Birks is an ordained Pastor/Teacher in the Body of Christ and is one of the staff pastors at The Rock of Roseville, a non-denominational church in Roseville, California where he also functions as an elder and Bible teacher. Ken has been a part of The Rock of Roseville since its inception in 1997. 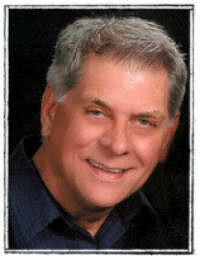 Prior to coming to The Rock of Roseville, Ken was the Senior Pastor of Golden Valley Christian Center, a non-denominational, church, for twelve years. With over 25 years of pastoral experience as a pastor and wedding Officiant in the Sacramento, Roseville Region, Ken has had the pleasure of performing dozens of ceremonies. Ken and his wife, Lydia have two adult children, Ben and Keith, and consider them their highest calling, along with the many teens and children whom they have been foster or surrogate parents to over the past 20 years. If you are interested in Ken's services as a marriage minister/wedding Officiant, please fill out the form below for a free consultation.